If you are willing to go short, then you have to be willing to add some layers into your hairdo. Rather your hair is cut to your shoulders or a pixie; layers will add trendiness to every hairstyle. 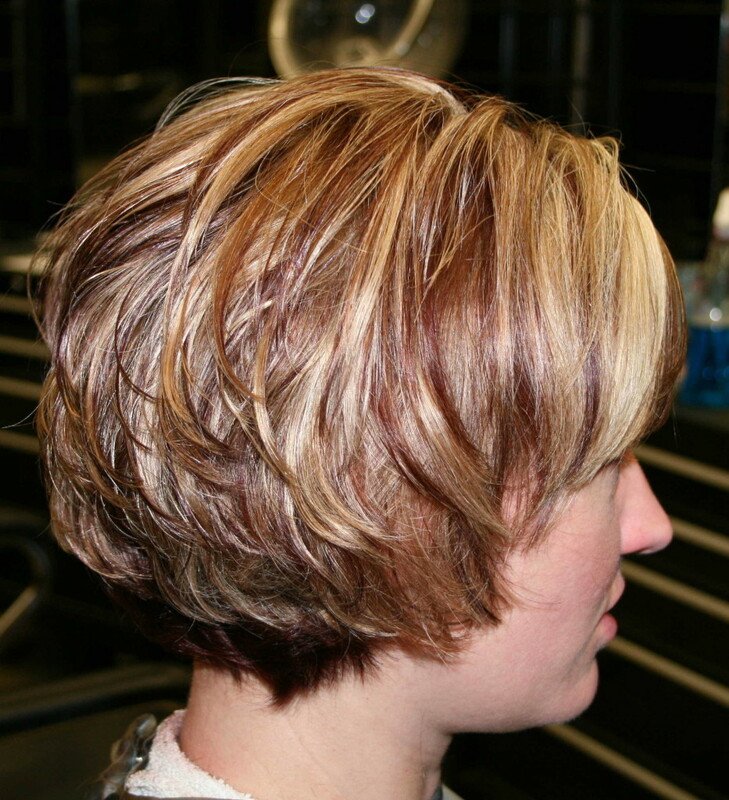 If you are going to do a bob then layers will definitely spruce up your cut. If you add a long side swept bang and shaggy layers that frame your face you are certainly going to turn heads. This look is perfect for those with round or heart shaped faces. This style could be easily created daily with a flat iron. A short, smooth, and chic layered look can be styled many ways, its versatility is just one of its beautiful benefits. This contemporary look is styled best with a side swept bang, straight, and polished. It’s perfect for the working woman who doesn’t have much time to style her hair but still wants great hair days. A less dramatic long layered look is a haircut to the chin with layers that are very subtle but still noticeable. This gives your hair some length and makes it look very textured and beautiful just by adding longer layers throughout the cut. This also looks perfect when accompanied with long side swept bangs to angle the face. If you have had long hair for a while and you are now looking for a change, going short might not be as scary as it seems. There are many reasons for a woman to opt for a shorter look: show off your facial features, individuality, maturity, and because short is sophisticated and best of it all – it is low maintenance! You might be surprised the confidence that comes with short hair. You can choose a bob with bangs or a dramatic textured pixie, either way when it is time for a change, you can’t go wrong with short hair.